I’m celebrating Advent this year which I haven’t done in three years, and I’m so excited! It’s been three years too long. I admit, it feels a little strange and lonely to read aloud in the corner of my room but I believe it’s right to feel this way. Celebration and reflection are always better when shared and although I have a remote group of Believers I’m observing Advent with, it’s being done so in a private, individualistic way. I read my friend Matthias’ advent thoughts yesterday and loved the way I was able to connect with him and worship and it prompted me to share my advent reflections as well. The first week of advent is a week set aside to HOPE in Christ’s coming. Just as Israel hoped and waited in total silence for over four hundred years for the birth of Christ, so we hope and wait for His promised second coming. Just as Abraham hoped for a son, just as Moses hoped in deliverance for Israel, just as Joshua hoped in a promised land, just as Ruth hoped in the goodness of Boaz, just as Mary hoped in the message of the angel, just as Simeon hoped that he would see the Christ child with his own eyes, so we hope with great expectation that Christ will come. LORD, You left your heavenly habitation to be born of men and suffered and died for my sake, and rose and ascended to Your Father and ours. O my soul, the departure of the Holy One was not a token of separation, but a pledge of return. O Jesus, Your Word, Your promises, Your sacraments show your death to your people and will do so until You come again. O blessed day of hope fulfilled and gladness—now for the dear Son’s sake has no terrors for me. Your death has redeemed me; your Spirit fills me; your love quickens, moves and animates me, and by your Word I am governed. O my soul, Trust in the Lord who can never betray that confidence he calls for. Lord, I have trusted you, and waited for you and I have not waited in vain. “I know that my redeemer lives, and that he shall stand at the latter day upon the earth: And though after my skin worms destroy this body, yet in my flesh will I see God: Whom I will see for myself, and my eyes will behold, and not another; though my reins be consumed within me.” You will come to raise up my body from the dust and re-unite it to my soul by a wonderful work of infinite power and love. O my soul, the hour comes! I triumph, O Jesus, in all your precious promises as I will one day do in all their performances. After judgment comes peace and rest, life and service, employment and everlasting enjoyment, which is the heritage of the redeemed. O my God, keep me in this faith, and ever looking for Christ’s return. Adorable Redeemer, You who were lifted up upon a cross have ascended to highest heaven. You, who as Man of sorrows was crowned with thrones are now Lord of life wreathed with glory. Once, no shame more deep than thin, no agony more bitter, no death more cruel. Now, no exaltation more high, no life more glorious, no advocate more effective. You Lord, and Victor, Conqueror—You lead captivity captive and your enemies behind You. What more could be done than you have done! Your death is my life, your resurrection my peace, your ascension my hope, your prayers and intercessions my sole comfort in life and in death. This week let’s remember the silence Israel endured as it waited and hoped for the Messiah and look at areas in our own faith that we maybe have grown weary of holding out hope. Do we long for His return? Do we hope in His word? Do we trust His plan and timing? O come, all ye faithful, joyful and triumphant! I love this song and as I’ve sung it this past week, I’ve worshipped to that specific line for the first time. I love the thought of His people gathering together mindfully joyful and triumphant because of what Christ has and will accomplished in and through us. Sometimes I can barely sing out at Church because I feel I’m wearing God’s patience thin and because I’m aware of my sin in the sort of prideful way that tends to push me further from Him when that reality could not be further from the truth. My eyes brim at that line. As I wait for and as I hope in Christ, may I draw near to the throne in joy and in triumph. I want to make that line a reality in my life this Christmas. If you celebrate Advent, is there anything extra special you do during this time? 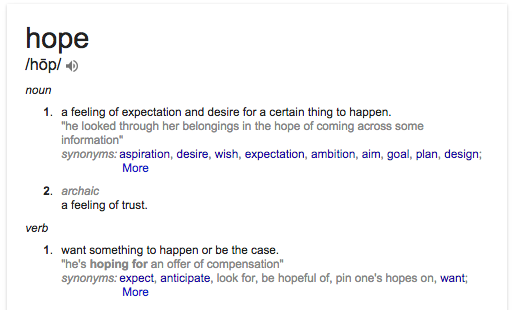 What does hoping in Christ look like to you? If you’re willing, I would love to hear what God is teaching you about hope this Christmas.